Carefully formulated as a nutritionally complete and balanced recipe to help meet the needs of senior and/or overweight dogs. This hypoallergenic and wheat gluten free food contains high quality protein from 100% British Salmon with potatoes, nutrient packed botanicals and joint supplements. 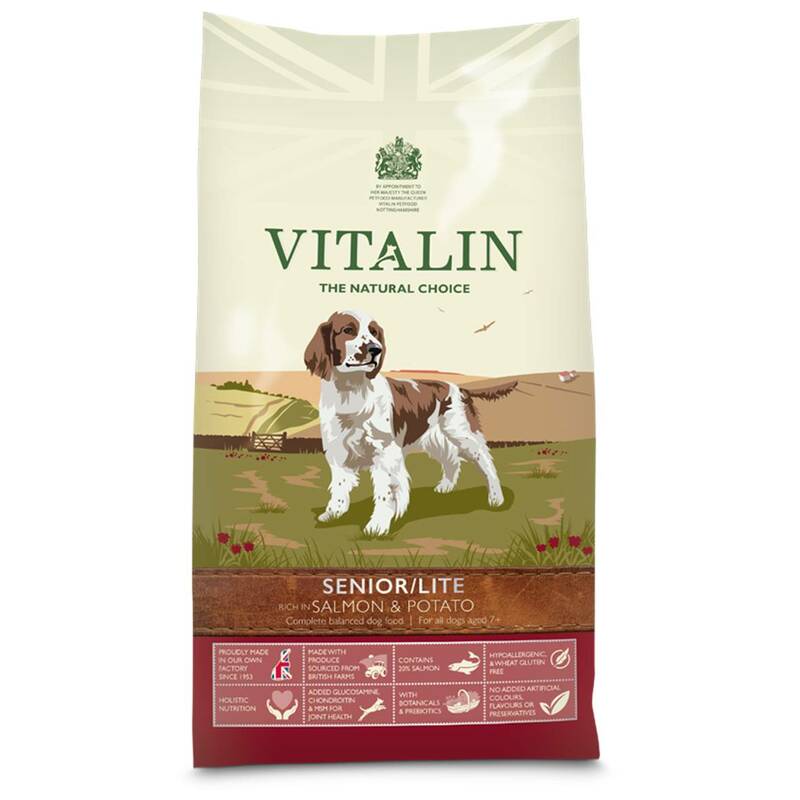 Vitalin Senior/Lite rich in Salmon & Potato is a complete, balanced pet food suitable for senior or overweight dogs.